Listen live, download or stream on Fridays. ​​Pop Culture Sunday has been retired from the Shelf Addiction Podcast. Old PCS episodes are no longer available on Shelf Addiction publicly. Shelf Addiction Patreon members have special access to the best of PCS. We've repackaged PCS and it now has a new home! It's own dedicated show! Pop Culture Sunday is now, The Pop Culture Pod! Every two weeks Tamara and Lisa discuss all things pop culture! Expect a mix of movie reviews, TV show commentary and recommendations. We even cover some "hot" topics going in the world. We'll let you know what's worth watching with a funny and thoughtful commentary! Tamara's a content creator, blogger, podcaster, and reviewer. She enjoys all things decadent; books, food, wine, cute jewelry, a perfectly made Cosmo, and travel! Foodie, Book Addict, Audiobook Aficionado, TV & Movie Junkie, and World Traveler. Creator & Owner of the Shelf Addiction Podcast Network. 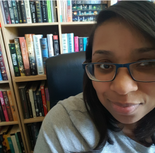 Including Host of the flagship show, the Shelf Addiction Podcast featuring author and audiobook narrator interviews, book roundtable discussions, and other bookish topics.​ Along with co-hosts, Tamara also hosts ​The Recap! pod shows featuring episode by episode discussions of various TV shows. Ratchet TV, and The Pop Culture Pod. ​Lisa Orban has led an unusual and eventful life. She went to college and earned an Associates in Psychology, which she still sometimes uses. She's held many jobs throughout her life, some quite strange, and others (sadly) more mundane to cleverly disguise herself as a responsible adult. She raised 5 kids, got married, and divorced, several times, bought a house and eventually settled down to live the life she always wanted, as the ringleader in a madhouse of anarchy. She now writes books, takes in human strays in need of help, travels, opened a publishing house, co-hosts a podcast with Tamara, and pretty much does whatever she wants, and is quite happy about it. Lisa also co-hosts several of The Recap! pod shows.